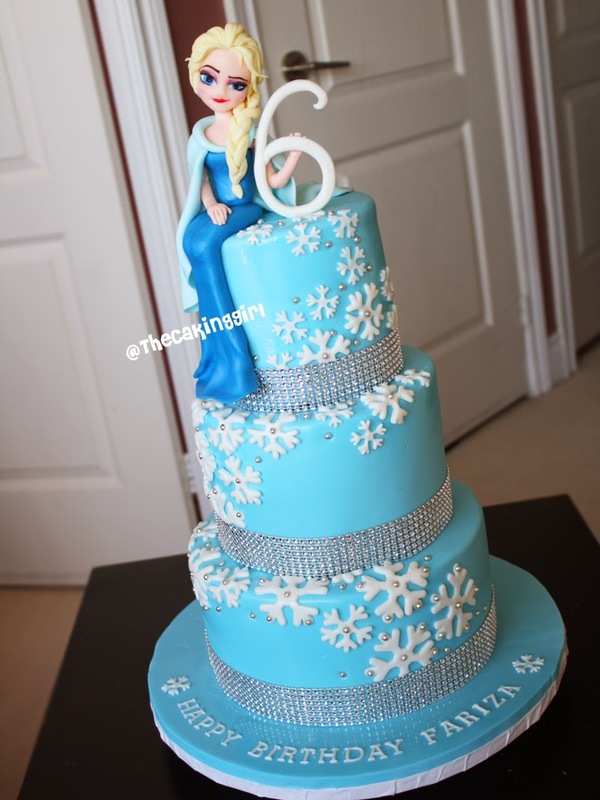 TheCakingGirl: My Frozen Elsa Anna Olaf Cake and Cupcake Designs! My Frozen Elsa Anna Olaf Cake and Cupcake Designs! My Frozen custom cakes and cupcakes! Okay, I've made so many Disney Frozen cakes, it's enough to start it's own album on my Facebook Page lol. I try to make them each a different design while still catering to what the person wants. the figurines turned out, I used gumpaste to make both Frozen cake toppers. 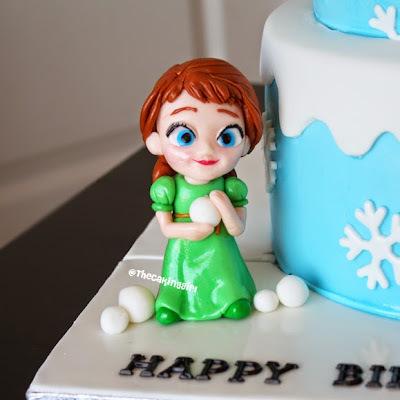 My edible Frozen Anna childhood figurine! 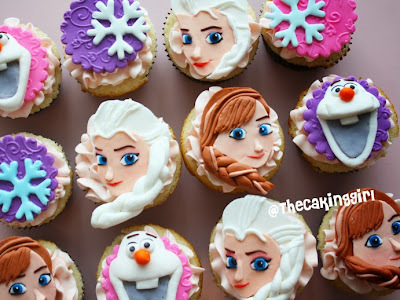 Anna and Elsa cupcake toppers. Olaf was 25 mins, the snowflakes were less time. 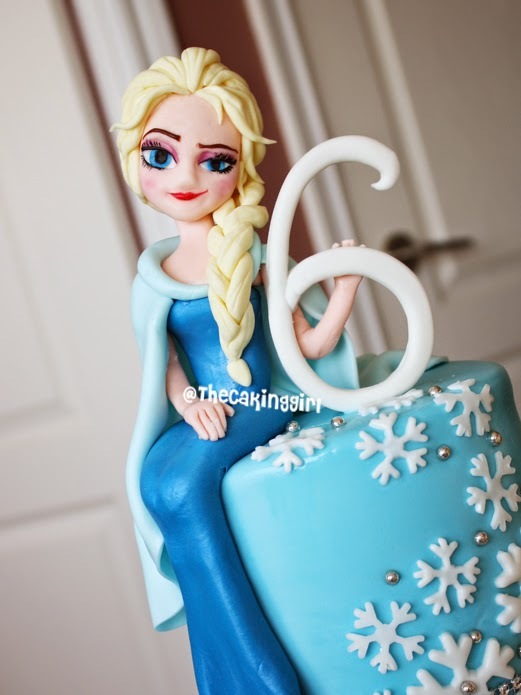 I think this is my fave edible Elsa cake topper figurine. She's made with gumpaste. 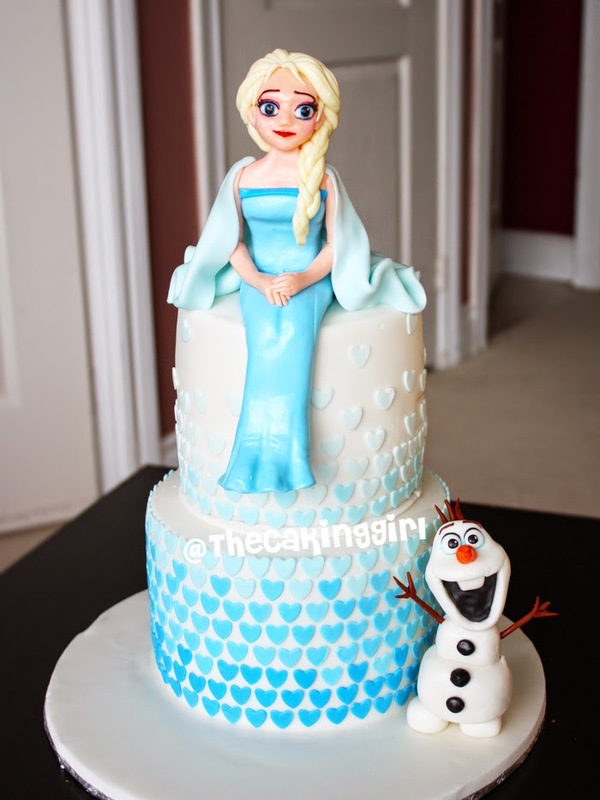 3 tier Frozen Elsa cake. 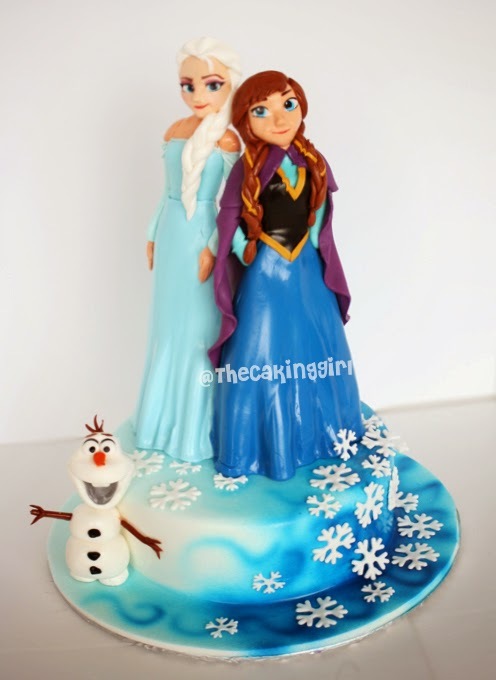 Anna, Elsa and Olaf cake toppersare made with gumpaste and entirely edible. 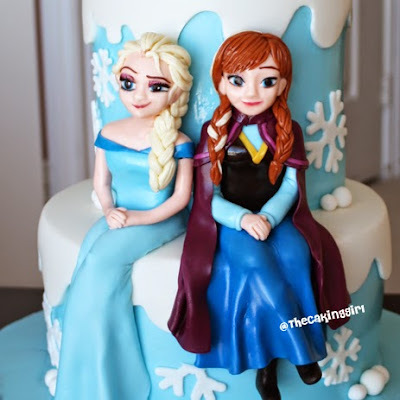 Close up of Elsa and Anna! 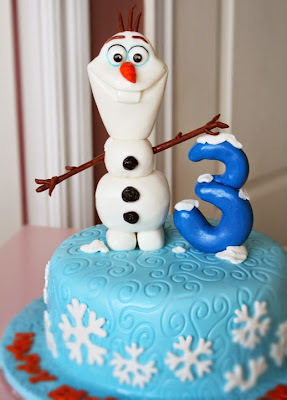 A simple Olaf cake for a boy turning 3. 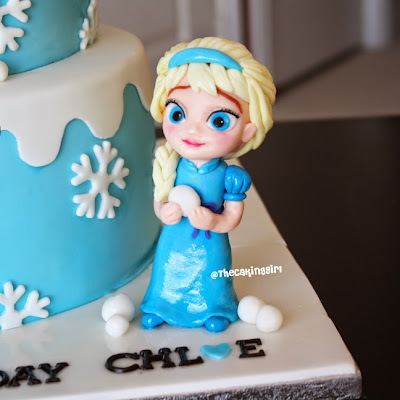 An ombre blue cake with a Disney Frozen design. 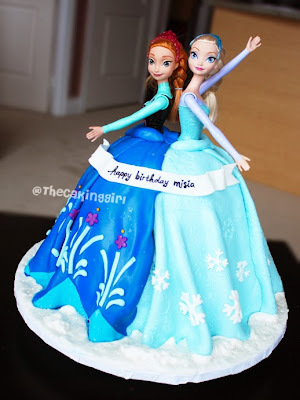 Elsa and Anna doll cake! 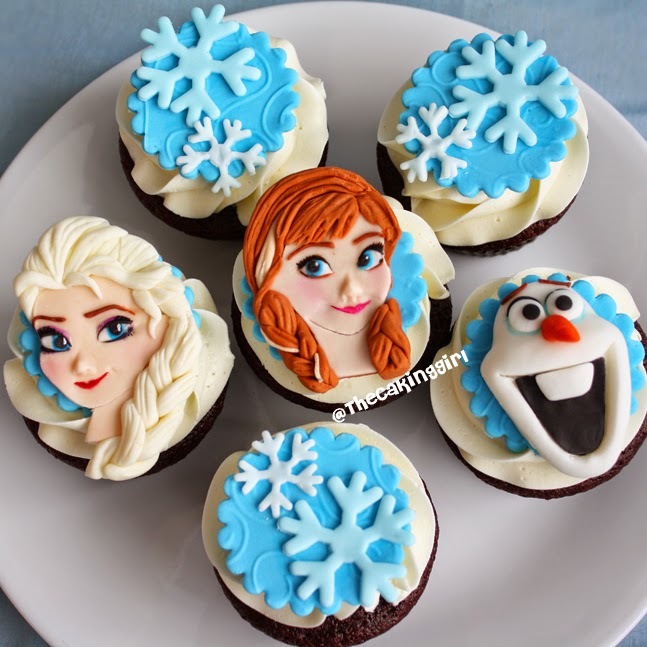 Frozen cupcakes I made last year. 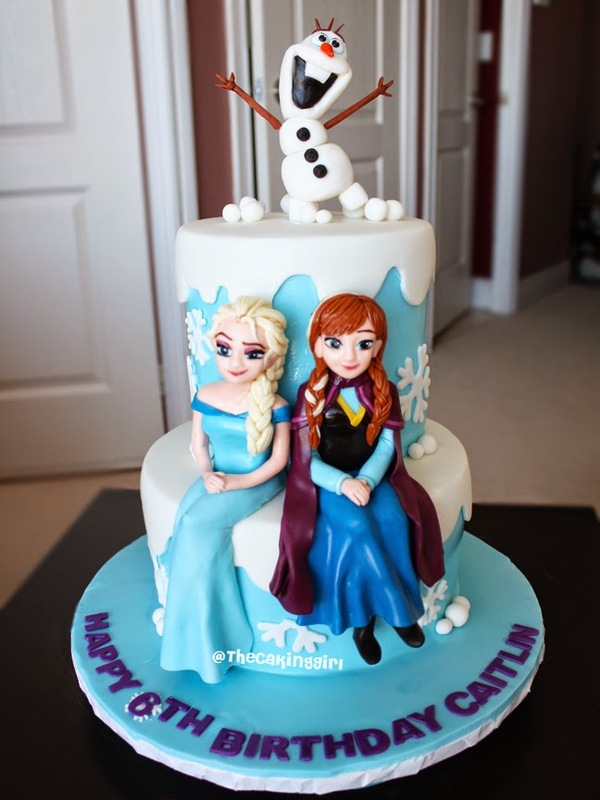 And my first Frozen cake last year. During baby shower and other programs we are always taking the help of cakes; without a cake we are not celebrating any occasion or celebration. It is a baby shower program or a baby birthday program cakes are really essential; here also we have found a design cake with different stuffing and ingredients. 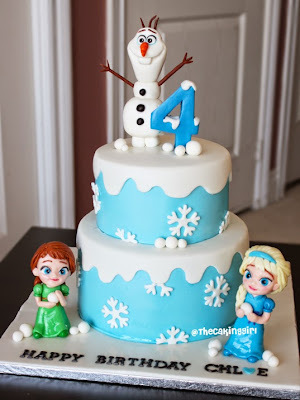 This theme is really awesome and we can say one of the toughest themes ever I have seen; it will definitely love by all, the design of the cake and cupcakes are really awesome. 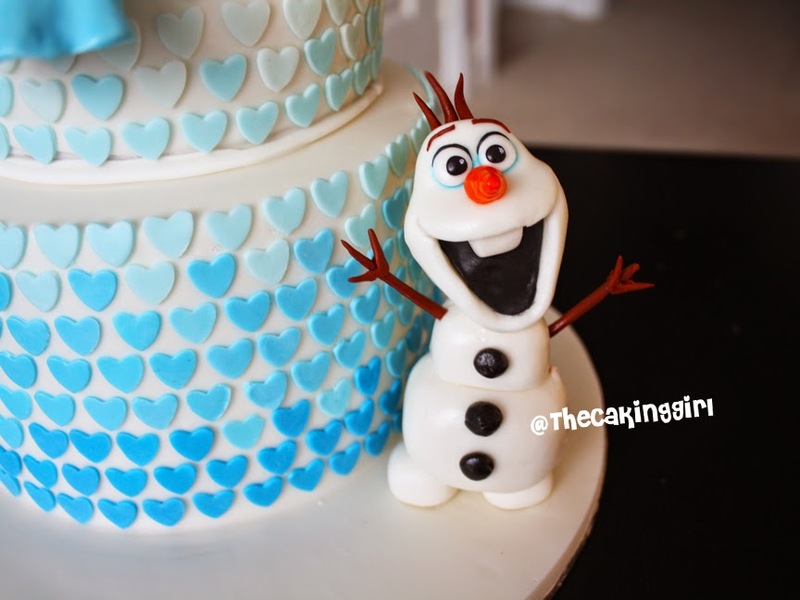 Thank you so much for the Frozen ideas. This is so cute and alluring. 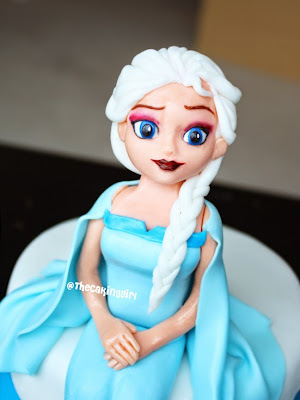 How fine the characters are made on the cake and the thing that they are edible but who will eat such a beautiful character. Very good. Keep going these are great. 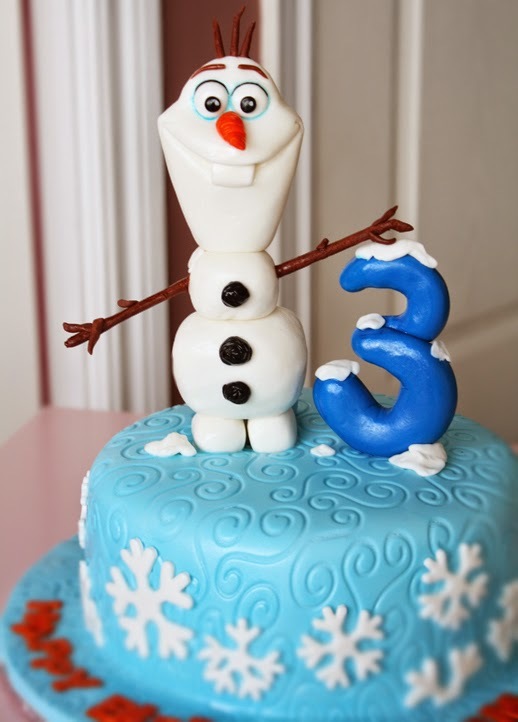 Its so cute I dont think I would be able to eat it (maybe eyes closed would work lol). Thank you for sharing your hardwork with us. How much do you charge for these cakes?